Orlando, FL. September 27, 2013 - As a leading company in the Sunshine State, RP Funding places at a remarkable No. 17 on the 2013 Florida Fast 100 List. The Florida Business Journals are responsible for giving these prestigious awards. The Florida Fast 100 Award Ceremony took place on Thursday, September 26th in Kissimmee, Florida. Highly anticipated, companies across the state, traveled for this event. According to the Orlando Business Journal, the Florida Fast 100 recognizes the "fastest-growing privately owned businesses in the sunshine state." Each company's growth was assessed between 2010-2012. For verification purposes, companies must present documentation of their revenue figures. RP Funding has achieved recognition from Orlando Business Journal on multiple occasions for their innovative initiatives. RP Funding was named Outstanding Small Business in 2012 in its division competing against dozens of other businesses. More recently RP Funding was also recognized as number 1170 on the highly sought-after Inc. 5000 List. While impressive, Palmer's reputation for ensuring that his staff always provides outstanding customer service to its customers is what has set him apart from other companies. "Our growth is an indicator of our clients' satisfaction. RP Funding is proud to place at 17 on the Florida Fast 100 and will continue to find innovative ways to educate and empower consumers," says Robert Palmer, President and CEO. 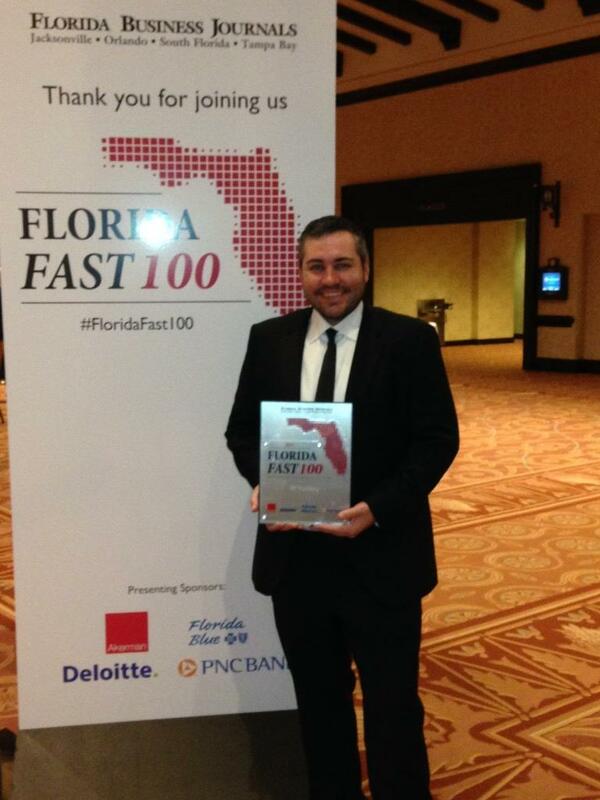 RP Funding is among 22 outstanding Central Florida companies placing on the distinguished Florida Fast 100. Being acknowledged by the Florida Business Journals as the 17th out of 100 leading companies in the entire state, is yet another testament of RP Funding's exceptional progress and achievements.